media.ccc.de - Playlist for "SUSE Package Hub"
SUSE Package Hub is a project to collect openSUSE packages built for SUSE Linux Enterprise in a central repository. The policies for this repo are aligned with SUSE in order to maintain supportability of the main OS, making the packages "safe" to install and use. 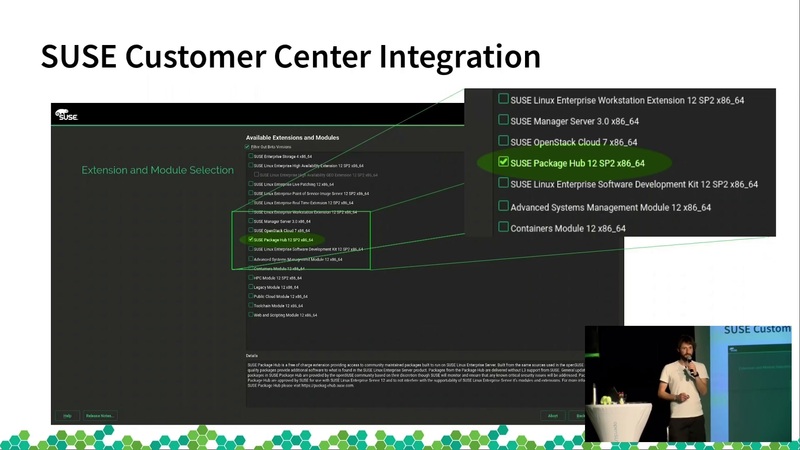 This talk is about presenting the idea and concept of SUSE Package Hub and the current status of the project.